July 29, 2018 — Links International Journal of Socialist Renewal — On 26th July 2018, in his election victory speech, Imran Khan gave a sober talk contrary to his very violent language used throughout the election campaign. He has “won” 116 seat of the 342 seats National Assembly of which 278 seats are contested directly on First Past The Post (FPTP) system. He is short of the 137 seats needed for the majority in the parliament. However, there are plenty of parliamentarians elected as “independents” who would either join his party or would vote for him. June 30, 2018 — Links International Journal of Socialist Renewal reposted from Vote for AWP — There is a common perception in Pakistan that politics is only for the powerful, and that money, clout and deceit reflect “success” in politics. The Awami Workers Party, on the other hand, believes that a politics based on a progressive vision of society is not only possible but utterly necessary. In the upcoming elections we are taking our message to all parts of Pakistani society to convince the electorate that he existing political-economic system can be transformed through the power of the people. 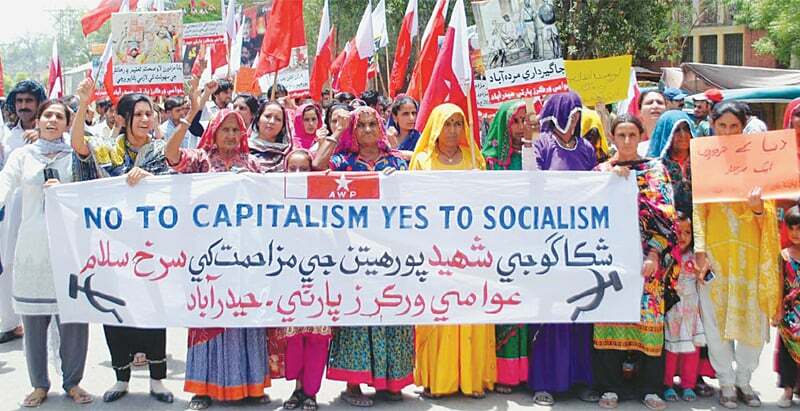 June 30, 2018 — Links International Journal of Socialist Renewal reposted from Awami Workers Party — As Pakistan heads toward a general election in July, cynicism about the mainstream political sphere is rife. Attempts by unelected institutions to subvert the democratic process are playing out in full public view, censorship and attacks on press freedom have escalated and personal attacks among political elites have replaced any pretense of reasoned debate about Pakistan’s many economic, social and political crises – from rising inequality, to crippling national debt, to the 22 million children out of school, to the affordable housing crisis, to widespread malnutrition, to the imminent countrywide water shortage. Alarmingly, the forces that seem best placed to exploit this situation are the political movements of the fascist right. Under state patronage, the forces of organized religious fundamentalism have risen at a frightening pace as they exploit popular resentments to target minorities, women and other oppressed groups in their attempts to capture state power. Even as they prop up the organizations of the fascist right, both military and civilian institutions continue to engage in widespread repression of nationalist and progressive forces across the country, be it enforced disappearances of political workers in Balochistan, FATA and Sindh or trumped-up terrorism charges against peasant activists in Okara. Amid such overwhelming obstacles, it is imperative that progressives come together to challenge the onslaught of authoritarian and fundamentalist forces and bring their politics into the mainstream. This year, in order to provide a genuine progressive alternative to the Pakistani people after decades, the Awami Workers Party (AWP) will contest the General Election in different parts of the country. May 14, 2018 — Links International Journal of Socialist Renewal — Large swathes of Pakistan are in the stranglehold of caricatured feudalism. These feudal relations are increasingly penetrated by finance capital as it imposes itself on social relations, politics and the economy itself. It has made the lives of millions miserable, deepening and brutalizing class exploitation. Rampant inequality and poverty remain chronic issues as millions can still be considered bonded labour. 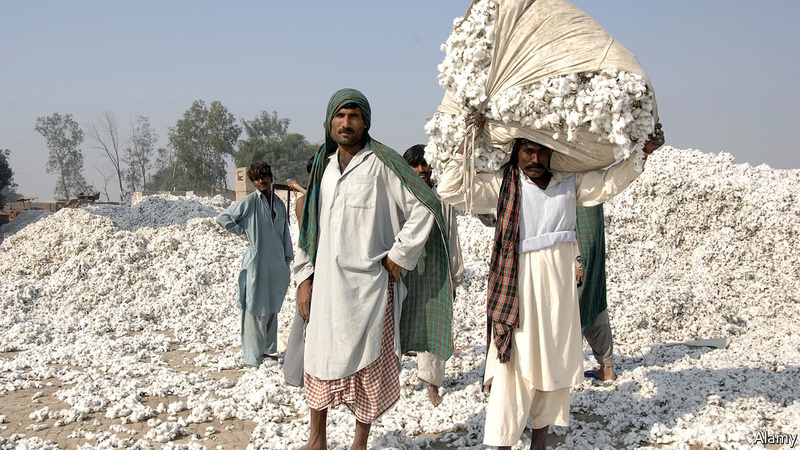 Such a harrowing situation is revealed by the fact that only five per cent of agricultural households in Pakistan own nearly two thirds of the farmland. April 28, 2018 — Links International Journal of Socialist Renewal — On 22nd April, over 10,000 packed the historic Mochi Darwaza (Cobbler’s Gate) ground in Lahore to listen to leaders of Pashtun Tahafuz (Protection) Movement and Lahore Left Front. The meeting took place despite all efforts of the district management to stop it. They rejected two application of PTM and LLF for permission to hold the rally on “security” grounds. 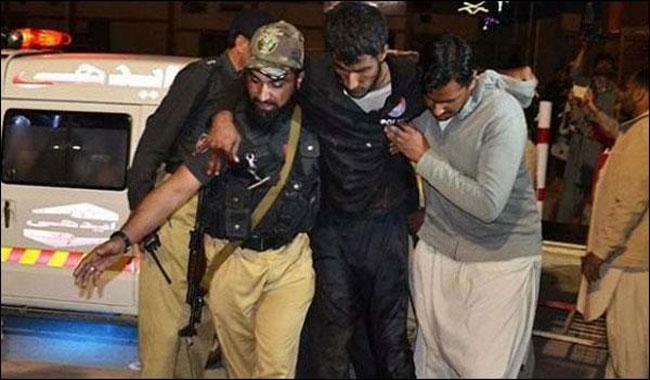 A night before the public meeting, 10 leaders of PTM and Awami Workers Party were arrested from a hotel where they were staying. After massive spontaneous demonstrations and mass social media campaign in various part of the country, the leaders were released in few hours. Those arrested included Ali Wazir, a main leader of PTM and a member of Pakistani Marxist’s, The Struggle group, Nisar Shah chairmen Jammu Kashmir Awami Workers Party, Fanoos Gujjar, president of Awami Workers Party and Ismat Shah Jahan, the president of Women Democratic Front. March 30, 2018 — Links International Journal of Socialist Renewal reposted from Rashed Rahman blog — The task of reviving the Left to once again become an effective player in the polity has been exercising minds in the surviving Left parties and groups for long but the achievement of this goal has proved difficult. It is therefore heartening to note the follow-up of the meeting of 10 Left parties and groups in Lahore on December 29, 2017 by the formation of a 17-parties/groups’ platform dubbed Lahore Left Front (LLF). February 23, 2018 — Links International Journal of Socialist Renewal reposted from Dawn — In their maiden meeting to form an `alliance of the left,` the leadership of 10 progressive and left-wing parties on December 29 agreed to work together in the future and formed an eight member committee to find a way for the formation of an alliance. September 25, 2017 — Links International Journal of Socialist Renewal reposted from Europe Solidaire Sans Frontières — The repression of tenants at Okara Military Farms continue for the last one and half years. On 21st September, Malik Salim Jakkar was arrested in Okara once again. He had spent most of the last two years (2015-2017) in jail and some two months back, he was released on bail. Malik Salim Jakhar along his five friends came to see me a night before his arrest in Lahore, his first meeting after his release. However, he was arrested very next day. He has been facing 95 police cases, he was released only after he tendered an unconditional apology to the authorities. Despite that, he is arrested because many hundreds of peasants met him during his brief freedom. Awami Workers Party GB leader and Federal Committee member Baba Jan, who is serving life term in jail with AWP Hunza District party leaders (L to R) Muhammad Ramazan, Engineer Amanullah, Ikram Jamal, and Akhon Bai after appearing in a lower court in Hunza on Wednesday (picture). 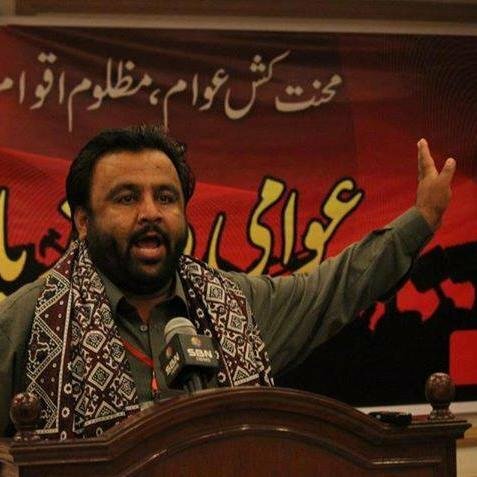 March 11, 2017 — Links International Journal of Socialist Renewal — While this great son of the mountains is incarcerating in jail for raising voice for the rights of the people of GB and all working class people of Pakistan, the stooges of imperialist neo-colonial powers and some elements in the religious institutions and community organisations at the behest of the Establishment have once again launched a smear campaign against Baba Jan and his party. February 13, 2017 — Links International Journal of Socialist Renewal — The Awami Workers Party (AWP) expresses grief over the loss of 16 lives in yet another terrorist attack in Lahore. 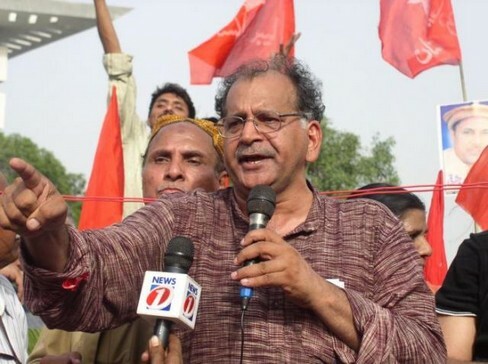 The AWP Spokesperson Farooq Tariq in a statement here on Monday condemned the failure of law enforcement agencies in foiling the terrorist attack despite forewarning. He expressed sympathies with the families of those killed and injured in the terrorist attack. January 29, 2017 — Links International Journal of Socialist Renewal — The Awami Workers Party condemns the travel ban on citizens and residents of 7 Muslim-majority countries instituted by the administration of President Donald Trump. While the ban has been instituted in the name of securing the United States from terrorism, the order is in effect, a collective ban on a particular religious community from those countries – Muslims – including legal residents of the United States, from entering the United States. It is also painfully ironic that the bulk of the countries affected by the ban – including Iraq, Yemen, Syria, and Libya – are those that the US and its allies, including Saudi Arabia, have invaded or bombed in recent years, creating thousands of refugees in the process. 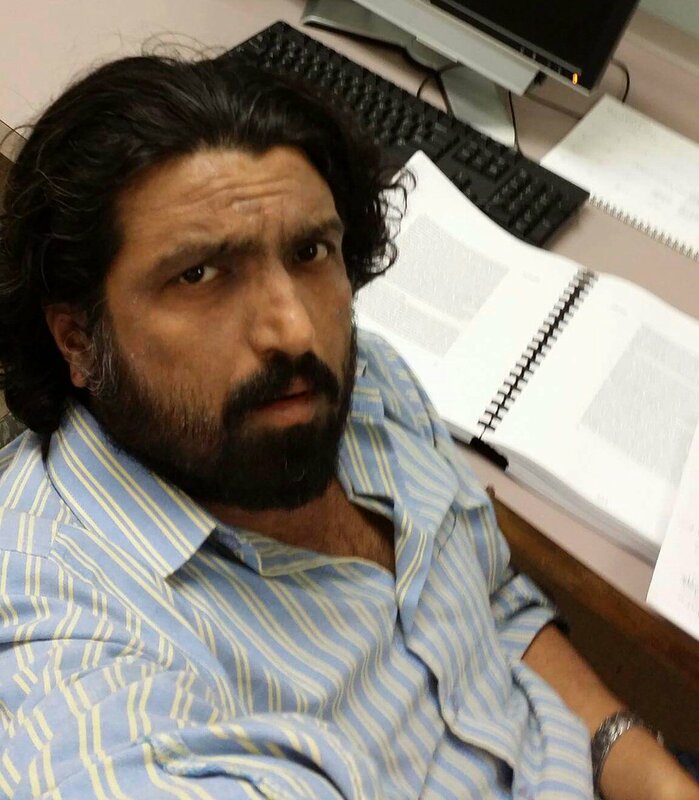 January 7, 2017 – Links International Journal of Socialist Renewal – The Awami Workers Party (AWP) Deputy-General Secretary Ismat Shahjahan expressed deep concern about the mysterious disappearance of renowned literary figure, university lecturer and progressive activist Salman Haider from the outskirts of Islamabad on Friday night. 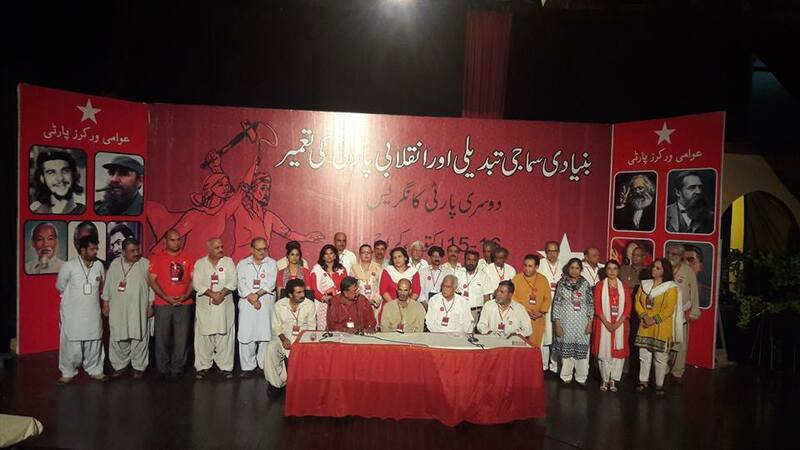 October 18, 2016 — Links International Journal of Socialist Renewal reposted from Awami Workers Party website — The second federal congress of the Awami Workers Party concluded with a call for peace in the region and social change. The party described the current tension between Pakistan and India as a conspiracy of the ruling class of the two countries and demanded an immediate end to warmongering. The party also supported the Kashmiri struggle for the right to self-determination and condemned violence against the people of the disputed Himalayan territory. These and other demands were made through a set of resolutions passed by the delegates of the congress. September 20, 2016 — Awami Workers Party — Dear friends, well-wishers and all those who struggle for a better world! In less than four years, the Awami Workers Party (AWP) has emerged as Pakistan's preeminent left-wing political force, reinvigorating the progressive political tradition after many years in the wilderness. 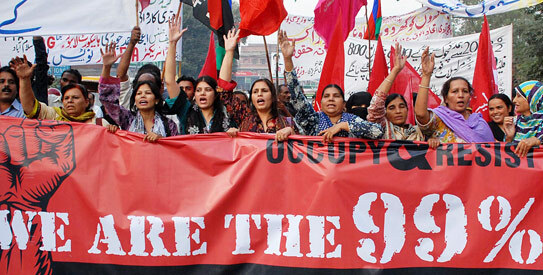 As many of you will know, to run a leftist organization in Pakistan is as challenging a task as any in the world. This is a country that has long been a 'frontline state' of imperialism, run by a venal elite including a praetorian army, and overwhelmed by a brand of right-wing religious militancy that has eroded an already fragile social fabric. The AWP represents an attempt to bring together the best traditions of left politics in the 20th century with a new generation of activists politicized by the anti-globalization and anti-war movements of the early 21st century. Alia Amirali speaking at a Awami Workers Party rally in Hunza in support of jailed activist Baba Jan.
September 13, 2016 — Links International Journal of Socialist Renewal reposted from Tanqeed — Writer and labor organizer, Sara Jaffri, and left-wing political worker and the Punjab Deputy General Secretary of the Awami Workers Party, Alia Amirali talk organizing, feminism and class in Pakistan. July 11, 2016 -- Links International Journal of Socialist Renewal -- On the 8th of June 2016, the Supreme Appellate Court in Gilgit-Baltistan upheld the decision of an Anti-Terrorist Court in GB in September 2014 and sentenced Baba Jan (central leader of the left-wing Awami Workers Party - Gilgit Baltistan) and 11 other activists to 40 year prison terms under the Anti-Terrorist Act. The three-member SAC bench gave a two-to-one split verdict on the state’s appeal against the unanimous decision of the Gilgit Baltistan Chief Court two-member bench to acquit Baba Jan and others of terrorism and violence charges in April 2015. Despite what the severity of the sentence appears to imply, Baba Jan and his companions are not militants who had taken up arms against the state – they are progressive political activists and organizers who had simply raised their voice for the plight of displaced persons of the 2010 natural disaster in Attabad, Hunza and organized them against government corruption and delay in payment of the compensation funds and their resettlement. July 9, 2016 -- Links International Journal of Socialist Renewal reposted from Europe Solidaire Sans Frontières -- Religious terrorism has become one of the major challenges for most of the countries in Asia, particularly in South and West Asia. It has resulted in a seemingly nonstop bombings, suicidal attacks and other means of terrorism. June 22, 2016 -- Links International Journal of Socialist Renewal reposted from Awami Workers' Party -- Gilgit-Baltistan Supreme Appellate Court’s decision to overturn Chief Court’s acquittal of Baba Jan and 11 other Awami Workers Party activists is politically motivated. It does not meet the standards of impartiality and fairness. “If highlighting this shortcoming of the short order is tantamount to contempt of court, I am in contempt of court,” Awami Workers' Party (AWP) Pakistan president Abid Hassan Minto said on June 15. He was addressing a press conference to announce launching of a mass campaign for Baba Jan and other activists’ immediate release and cancellation of all politically-motivated cases registered against them on trumped up charges of terrorism. June 13, 2016 -- Links International Journal of Socialist Renewal reposted from Awami Workers Party -- On 9th June 2016, the Supreme Appellate Court of Gilgit Baltistan sentenced Baba Jan and 11 other political activists to 40-year prison terms in a case based on trumped up charges of terrorism, rioting and assault. 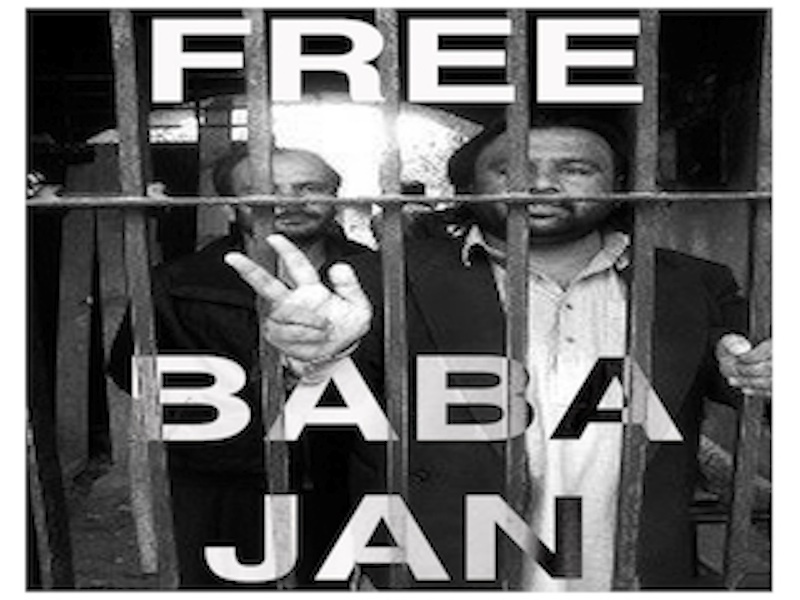 The court was hearing the state’s appeal against the GB Chief Court’s decision to acquit Baba Jan and others of these charges. The Chief Court had set aside Baba Jan and others’ conviction in the matter by an anti-terrorism court in September, 2014. Their ‘crime’ was that they had raised their voices for the thousands of families affected by the massive landslides of 2010. The landslides had caused an artificial lake in the Attabadarea of Hunza in 2010, rendering homeless thousands of families. 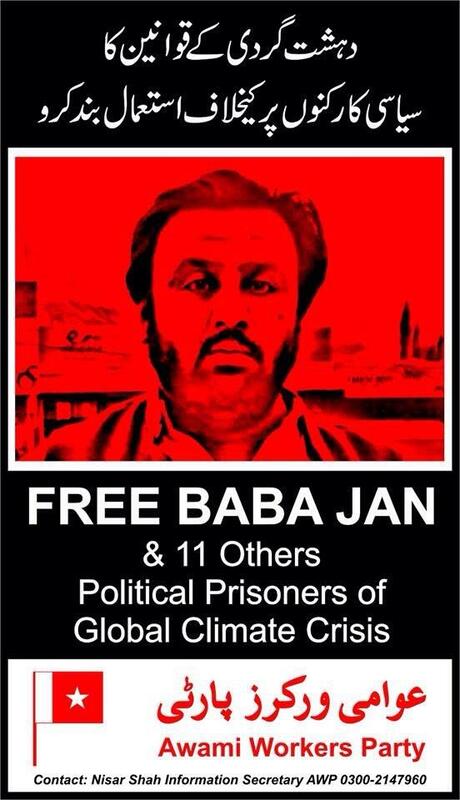 Baba Jan and other activists had mobilised the people of the region, holding scores of demonstrations, to seek fair compensation and social support for these families.